Each box has a new theme every fortnight and contains four activities (suitable for ages 3-8). Each activity is neatly packaged into a little coloured bag complete with all materials needed and instructions – Ayla’s enthusiasm when opening each pouch was great to see. Additionally the box we got had a colouring activity, a comic strip, a cutting activity and loyalty stickers along with a completion certificate which we proudly displayed. Ayla and I quickly got to work and began our first activity. With the Weekend Box theme being Summer holidays we created our ‘beach scene’. Ayla loved the fact that there was real sand and sticky gems to give her artwork a real beach feel. We may have got more sand on the carpet than on the paper plate but she enjoyed it. Note to self: read instructions properly, dry the sand out as wet sand doesn’t really clag that well! As it’s Great British Bake Off season for our next activity we channelled our inner Paul Hollywood and baked some…Crispy Beach Cupcakes. There was just enough ingredients to make two large cakes. For us this was great as it meant that we had all the fun and experience of baking up a storm whilst only having to eat one cake each, crispy cakes for breakfast can get a tad repetitive! The next two activities were completed by Ayla and my wife. They made a cute little passport and a collaged crab picture. As a teacher with 10 years Early Years experience, Rachel was really impressed with how the activities were organised and explained. Rachel also noted that the creaters of the Weekend Box had really utilised the space, the actual box which contained the crafts had a great activity printed on the inside. On this occasion it was a set of shoes to cut out, colour, hole-punch and thread with some old shoelaces. Apparently this is good for fine-motor control and is something that can be used over and over again (cheers Rach!). The best thing we found with the Weekend Box is that it actively promotes focused time with your kids rather than replacing it. I did have to explain to Ayla that it’s not just for weekends and you can do it anytime. The materials used in the Weekend Box are 100% reusable and recyclable too. In summary, we rate the Weekend Box very highly, Ayla’s engagement was excellent and she was genuinely excited to complete the tasks. From a parenting point of view it’s something that we would get again and in our opinion was good value. Weekend Boxes are delivered fortnightly and monthly and are normally priced £8.95 (delivery is FREE) but through our link below your first box is only £1! Get your first Weekend Box for just £1! N.B. 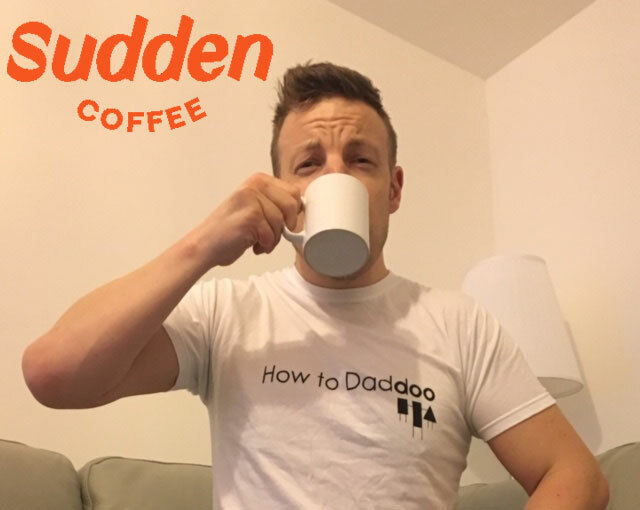 How to Daddoo is a participant in the Weekend Box Affiliate Program, an affiliate advertising program designed to provide a means for sites to earn advertising fees by advertising and linking to weekendboxclub.com.